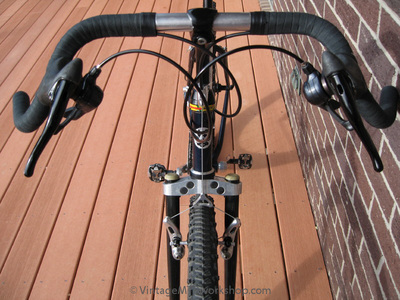 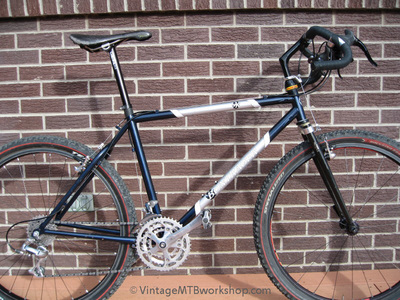 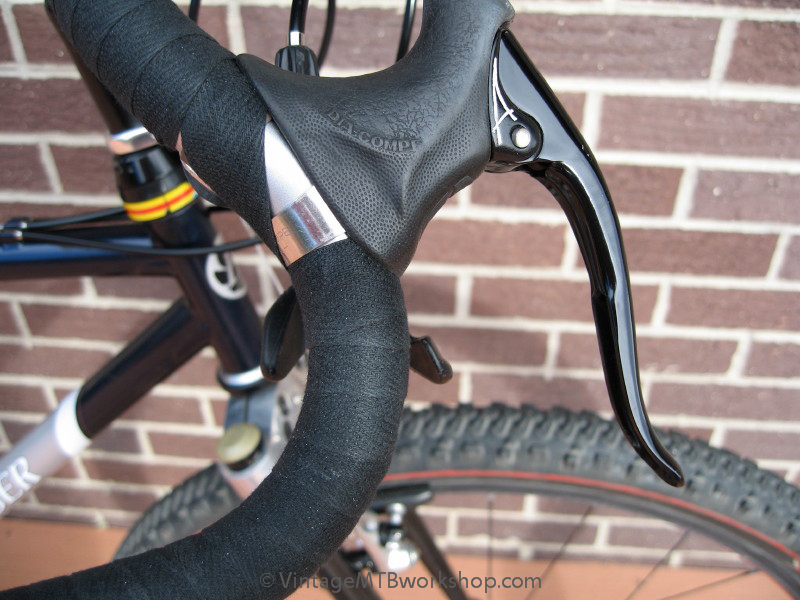 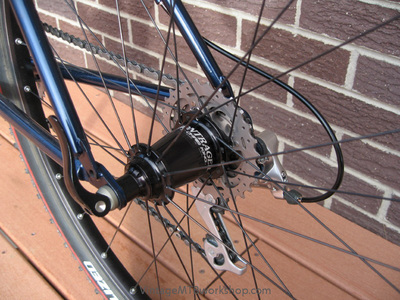 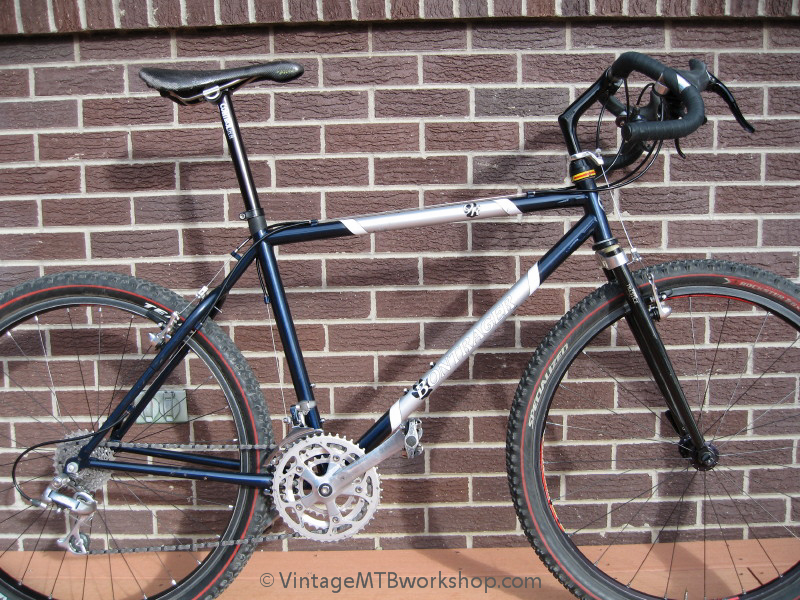 This is a classic mid-90s Bontrager Race with full gussets and frame fittings that are brazed-on rather than riveted. It is built up with off road drop handlebars and is a great climber, however the handlebar position is a bit low and long for technical descending. 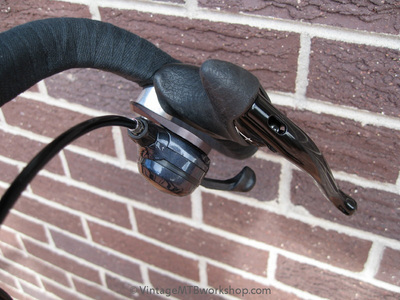 The XTR M900 shifter pods are attached with modified DKG custom mounts and Suntour clamps.